After a vast amount of high calorie research and hours of careful digestion deliberation, I have a winner. Truthfully, I have two winners. 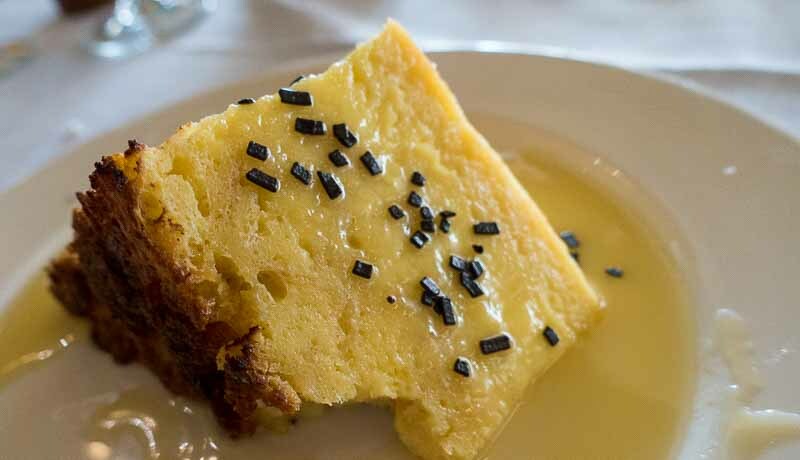 The white chocolate bread pudding at the Palace Cafe was the by far the most moist, delicious, delectable, all around wonderful slice of heaven I had all week. The little bit out of the corner above was the result of Sally Woolsey snitching a taste before I could take a photo, which was wise because I just about inhaled the rest of it. Courtyard bread pudding with whiskey sauce. The Courtyard Bread Pudding from the Court of Two Sisters is a very creditable effort, but the sauce is clearly out of this world. 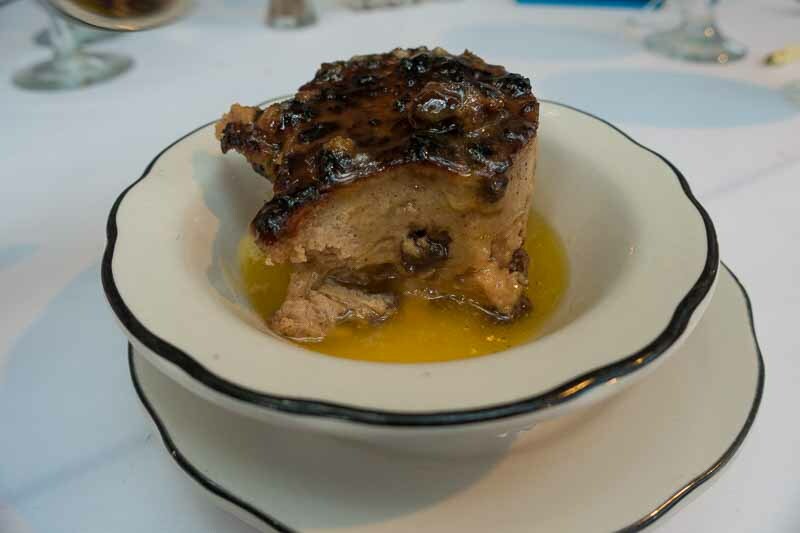 Close your eyes and imagine what the perfect bourbon sauce would taste like, and that’s what gets served every day at this bread pudding heaven. In some magical dream world you can order the bread pudding from the Palace Cafe with the sauce from the Court of Two Sisters. Right after your meal of unicorn chops and rainbow chips, I expect. And the dessert would be the best part of that meal..